At a meeting in January 1886, the newly formed Westerbotten County Archaeological Society decided “to establish a museum in Umeå as a storage space for archaeological artefacts”. This was located in the Ullbergska property, roughly where the current Thor block stands, with a magnificent façade facing Storgatan. However, much of what was collected was destroyed in the city fire of 1888. The collection that remained after the fire was so small that it could be housed in a cabinet in the attic of District Judge Ährling. But soon the process began anew. Beginning in 1890, the archaeological society rented a room in the building across the courtyard from surveyor H. R. Linder’s property at the corner of Storgatan and Slöjdgatan. This quickly became too small, and in 1901 it moved to the newly built secondary grammar school, where a room on the ground floor was made available at no cost. Because of the collection’s growth and the school’s own needs, in 1911 the museum moved down to the large warehouse by the river. In the spring of 1919, the Västerbotten County Historical Society was founded – yet another special anniversary to celebrate. From the very beginning, the society advocated the construction of a museum building in the Gammlia area. However, plans for a building had to be postponed because of prevailing economic circumstances. The historical society and the archaeological society worked in parallel until 1923, when the latter was dissolved and the collection of artefacts went to the historical society. A small step towards moving to Gammlia was taken in 1921 when small parts of the collection were housed in the manor house that was moved to the area from Sävar. However, the majority of the artefacts remained in the warehouse by the river in premises that became less and less suitable as time went on. In 1925 it looked as though a permanent location had been found when the historical society, along with the Minerva Adult Education Association, moved into the old teacher training college building in the Läraren block west of town. This turned out to be yet another temporary solution. After 10 years it was time to move again. The building was going to be used by the Court of Appeal for Upper Norrland, which was being relocated to Umeå. As a temporary solution, the old bank building on Storgatan – known as Smörasken – was put at the museum’s disposal. The solution was very temporary, and the plans to establish a museum at Gammlia once again gained momentum. 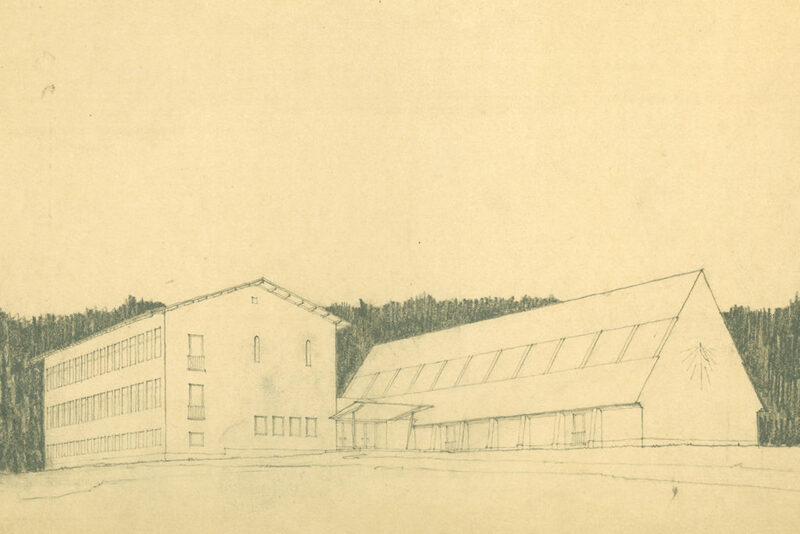 In December 1938 the historical society’s board decided to issue an invitation for an architectural competition for the museum building at Gammlia. Among the five entrants, Bengt Romare was named to carry out the assignment. Romare and Georg Scherman previously had won the architectural competition for the Museum of National Antiquities in Stockholm, a building that was completed in the same year as the museum in Umeå. Later in his career Romare also designed the church in Burträsk. On Saturday, 17 July 1943, the museum was inaugurated with a talk by Sigurd Curman, director-general of the National Heritage Board. Nearly 30 years would pass before it was time for the next big step in development of the museum’s premises. Throughout the 1960s, the question of an expansion of the museum’s spaces had been discussed. And in the meantime the museum became increasingly cramped. Large parts of the collections were kept more or less stowed away in places outside the museum itself. At the end of 1968, excavation for an expansion began, and on 22 November 1970, the new prime minister, Olof Palme, dedicated a large addition located largely where Bengt Romare had planned an art gallery. Architect Åke Lundberg – who had long been involved in construction discussions at Gammlia – did an excellent job of incorporated the addition into the existing building in terms as volume and materials used. But he added a touch somewhat characteristic of the period, with both vertical and horizontal bands of windows and a flat roof, which was converted to a gable roof in 1994 because the climate in Umeå does not lend itself to flat roofs. 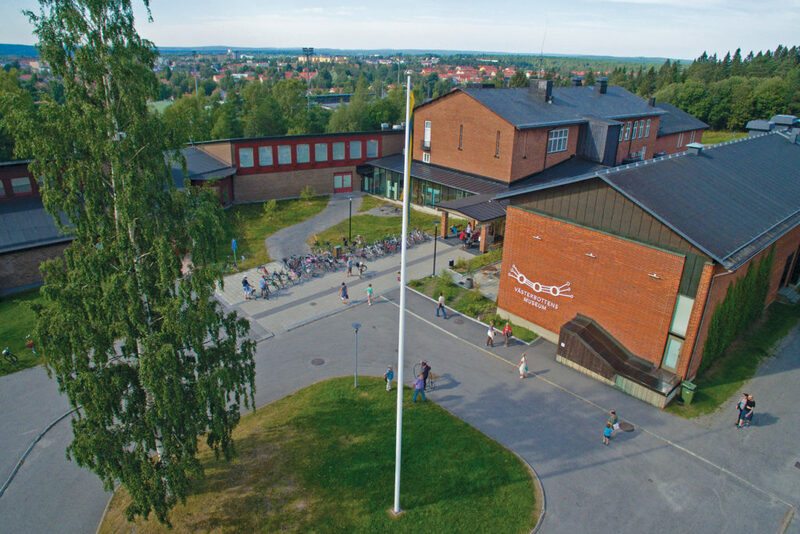 Besides premises for “background work”, the museum addition included a large exhibition hall – today named Hall 1 – and the underground floor had a combined Bio Abelli cinema and lecture hall, named after Bror Abelli, who built Umeå’s first permanent cinema in 1909. After just three years, it was time again. The original building was extended northwards to provide sufficient space for the Popular Movement archive and the ski collection that had been housed in Lars Färgares Gård. Åke Lundberg continued to serve as the museum’s architect and designed an addition stylistically in line with the existing building. 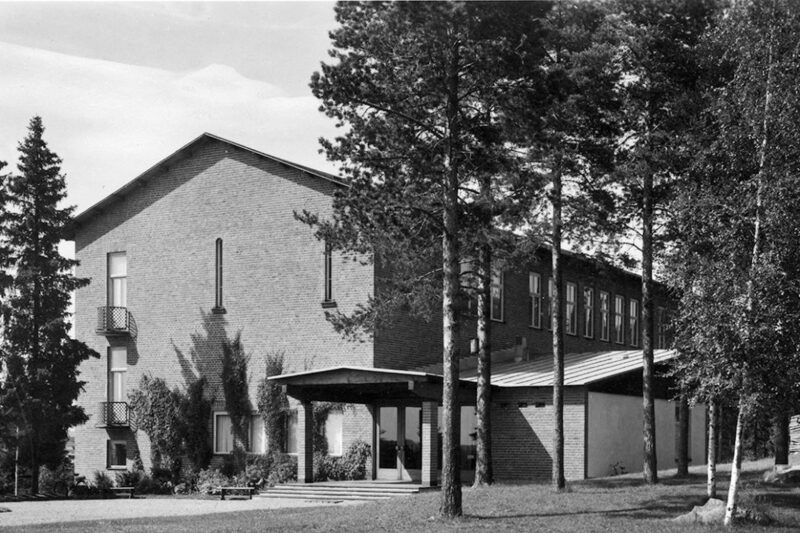 The art gallery that Bengt Romare had included in his 1939 proposal came into being in a sense when Bildmuseet (the modern art museum) opened in April 1981 under the supervision of Minister of Education and Science Jan-Erik Wikström. Unlike Romare’s proposal, the “art gallery” was placed west of the original building. With Bildmuseet, architect Lundberg has departed from the concept of straight wings under a gable roof and instead worked with asymmetrical sloping roofs with a clearer relationship to the steep terrain. Along with the 1970 expansion, this wing frames a courtyard towards the south in front of the entrance. The framing was further reinforced by the extension of Bildmuseet southwards, which was completed in 1994. Then Bildmuseet was given an entrance of its own. Initially it shared an entrance with the county museum. When Bildmuseet moved to Umeå Arts Campus by the river in 2012, the building was transformed into two levels with expanded exhibition space and a floor of offices for the Museum of Västerbotten. In connection with this, the most recent major reconstruction of the museum expanded the entrance hall and made the connections between the various bodies of the building more visitor-friendly.